Why Play at Mr Smith Casino? 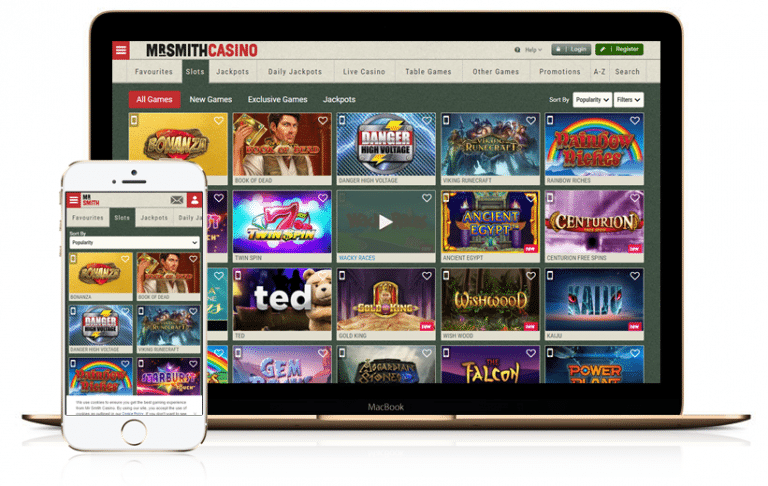 Mr Smith Casino is a web based online casino with more than 1,000 slot games to play – you have games from WMS, Net Entertainment, IGT, Microgaming and others all in 1 place. 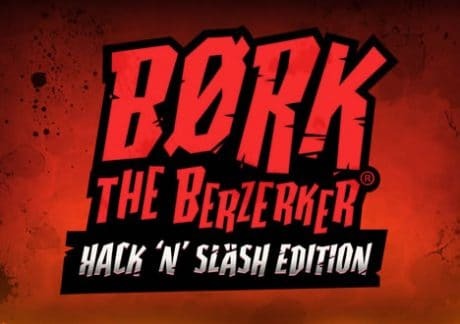 There is no need to download any software either as it’s all played in your browser. Sign up to take advantage of a great welcome offer where you can get up to 200 cash spins on NetEnt’s Starburst. For a more comprehensive insight into Mr Smith Casino, carry on reading. Mr Smith Casino offers round the clock support as they are open 24 hours a day, 7 days a week. If you need to contact them, you can choose from email, on-site messaging, telephone or Live Chat. They offer 2 telephone numbers on the website with 1 of them being a UK freephone number (one beginning with 0808). I always contact an online casino’s support team to see if they are competent or not. I contacted Mr Smith Casino via their Live Chat service and got chatting to a customer service agent almost immediately. On the few occasions I have used Live Chat, I’ve never had to wait more than a couple of minutes. Telephone support was also good even though I asked some difficult questions their way. Email support is a little slower (naturally) but responses were received within a few hours (more than adequate!). Before you contact their support team, you can look up the Frequently Asked Questions area on the website. There are many areas covered here and will most likely help you with most of the questions you may have. The website is easy to navigate with information presently clearly (which helps). Again, Mr Smith Casino passes with flying colours. Simply put, Mr Smith Casino offers you more banking methods than any other online casino I’ve come across. You can use popular banking methods such as NETeller, Skrill, bank wire and debit or credit cards to deposit and withdraw. Also, no fees are charged at all for depositing or withdrawing. When it comes to cashing out (or withdrawing), Mr Smith Casino offers you a superb service. They offer same day cashouts if you use Skrill or NETeller – these are processed within 4 hours (including weekends). I’ve made a few cashout requests and always received them within 2 to 4 hours! Debit or credit card withdrawals are processed on the same day you request them but take about 3 days to hit your account due to bank processing times. If you want fast cashouts, e-wallet solutions such as NETeller or Skrill are highly recommended. As mentioned briefly above, you can receive your cashouts at weekends as this is when most players play. The minimum withdrawal amount is just £20 for all payment methods. When it comes to banking, Mr Smith Casino is one of the best I’ve found. Mr Smith Casino offers you all the most popular casino games such as roulette, blackjack and video poker. However, they really stand out when it comes to their video slots offering – there are over 1,000 to play with games from many of the top software providers. I started playing there after I saw they offered WMS slots – these include legendary Zeus, popular Wizard of Oz Ruby Slippers, Black Knight and KISS Shout It Out Loud. WMS slots are popular in land-based casinos in the States and are now available online. They stand out in my opinion due to the superb bonus features, excellent graphics and unrivalled win animations. You should try Viking Vanguard, Giant’s Gold, Raging Rhino, Fire Queen and Zeus III. 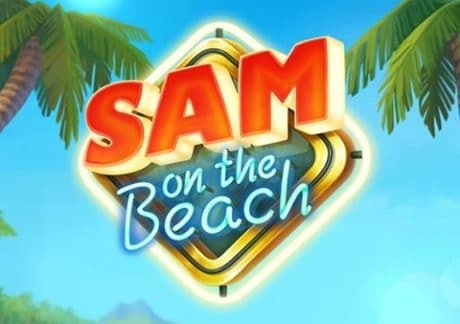 You can also play Net Entertainment powered slots at Mr Smith Casino – I really like the games and some of my preferred ones include Dead or Alive (highly volatile! ), Blood Suckers II, Gonzo’s Quest, Victorious and Starburst. NetEnt slots are quite different to other slots in the way they function. Clean and crisp designs (Scandinavian built) with great gameplay. 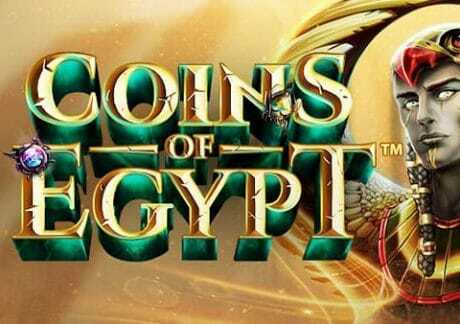 Mr Smith Casino always released NetEnt games a week before they go on general release which helps – they have exclusive games like Coins of Egypt and Moonshine Riches which are available for a few months only to them. 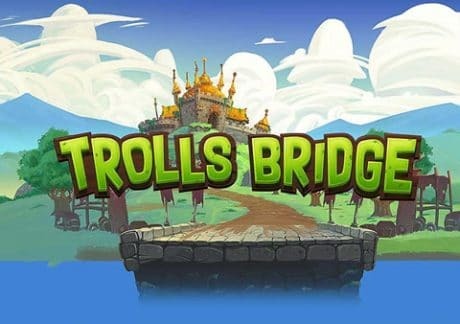 Talking of exclusive games, Yggdrasil Gaming’s Trolls Bridge can only be found there. However, the most popular NetEnt slot is the Mega Fortune jackpot game – this is because it has the largest jackpots found anywhere online. It paid out the world’s largest ever online jackpot at €17.8 million in January 2013. The jackpot total goes up very quickly due to its popularity so you should give it a go and hope your lucky spin transforms you into an instant millionaire. Regarding other games, you have Microgaming games like Thunderstruck II and Immortal Romance as well as IGT games like Cleopatra and Coyote Moon. They have also added Da Vinci Diamonds, Golden Goddess, Siberian Storm and Jurassic Park too. Other games I recommend include 300 Shields by NextGen Gaming and QuickSpin’s Big Bad Wolf. Mr Smith Casino also has games from Yggdrasil Gaming, Quickspin, Play ‘N Go, Push Gaming, iSoftBet, Big Time Gaming, Pragmatic Play, Thunderkick, ELK Studios amongst others – titles I recommend include Yggdrasil Gaming’s Lucha Maniacs, Thunderkick’s Børk The Berzerker Hack ‘N’ Slash Edition, Quickspin’s Sticky Bandits and ELK Studios’ Wild Toro. Mr Smith Casino really does offer a brilliant range of quality slot games in 1 place – ideal for slot lovers. This welcome offer is only available on your first ever deposit at Mr Smith Casino with deposits using MoneyBookers, Skrill or NETeller not valid – use your debit or credit card basically. When it comes to wagering on the eligible games, they include Starburst, Moonshine Riches, Jumanji, Rich Wilde and the Book of Dead and Bonanza. Furthermore, Mr Smith Casino has lots on ongoing promotions – they give away holidays, the latest gadgets and tickets to popular sporting and music events. They also offer everyone Daily Boosts with a different offer each day – they include free spins, cash drops, tournaments and cash races. Make sure you visit the News section for details.